Well, at BAMSS, we’re excited to announce that we have a number of NBN-ready security solutions perfect for your home or business. If you already have a system, or are looking to buy for the first time, we can take care of all your NBN security needs. Read below to find out about NBN ready alarms, NBN alarm systems and how to make sure your family and property remain safe in the transition to the new network. Where is the NBN available? 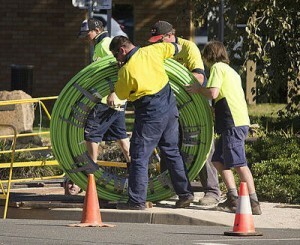 The NBN is being rolled out all across Australia. To find out where the NBN is currently available and when the NBN is likely to arrive in your area, visit the check your address page on the NBN website. Will my current security system work with the NBN? As the NBN is being installed, your existing phone line and internet connection (the old copper wire network) will be replaced and disabled. This means that once the NBN is in your street, you won’t have access to a fixed line telephone, causing NBN alarm problems. Older alarm systems use a telephone line for back-to-base alarm monitoring, so your current system may not be compatible with the NBN. Some newer alarm systems can communicate via NBN back-to-base alarm networks with the addition of our little black box. We can also supply and install a GSM (Global System for Mobile Communications) unit, which communicates with the control room via mobile phone networks. This unit removes the need for a phone line and provides a greater level of security. Contact us to find out if your current security system will work with the NBN. Regardless of what security system and security provider you are currently using, BAMSS can upgrade your existing security setup to make sure you’re NBN-ready. We have a number of tailored NBN security solutions to meet your needs. In most cases you can either upgrade your current system with a small add-on, or buy a brand new system. Contact us to find out how to upgrade your security system to be NBN-ready. 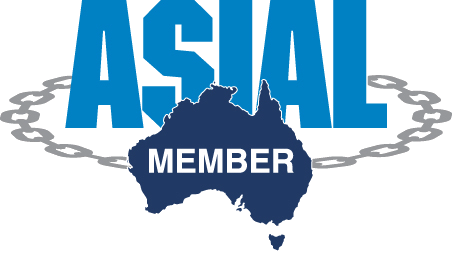 Contact BAMSS today for a FREE, no-obligation NBN consultation. We’d be happy to talk to you about your current security system and your options for upgrading. what type of phone or internet service will be best suited to your alarm system. Alternatively, you can enter your details in the ‘Request More Information or Book Your Appointment’ form at the bottom of this page, and we’ll get back to your as soon as possible. Now is the perfect time to buy NBN home security. Brand new state-of-the-art NBN security alarms are now available for all your home and business needs. So if you’re looking to buy an NBN alarm system, contact us today. We have a range of superior products and services.